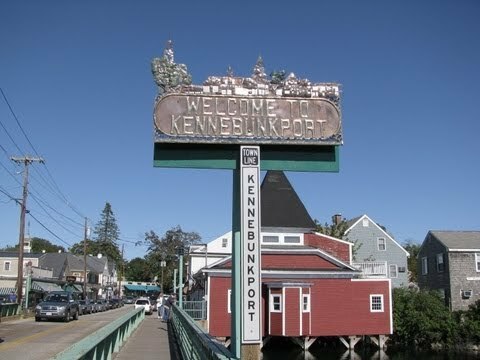 Kennebunk, Kennebunkport and Arundel, known collectively as The Kennebunks, are located 25 miles south of Portland along the picturesque Atlantic coast. From the vibrant villages to the sandy beaches and rugged coastline, the Kennebunks are a wonderful place to live and visit. As the home of Walker’s Point, President George H.W. Bush’s summer residence, Kennebunkport has become especially popular with visitors, who appreciate its beautiful scenery and lively shopping districts. The Kennebunks are rich in history and tradition. Originally known for shipbuilding, sea captain’s mansions dot the neighborhoods, particularly along Kennebunk’s Summer Street, a nationally registered historic district, and around Dock Square, the heart of Kennebunkport. The Mousam River and Kennebunk River flow into the beautiful Atlantic Ocean. These waterways have provided means of commerce and recreation since the area’s founding. Visitors can paddle kayaks, go deep sea fishing or take a whale watching cruise from the banks of the Kennebunk and Mousam Rivers. Adventurous folks also enjoy paddle boarding and surfing at Kennebunk’s beaches. The Kennebunks are known nationwide for hosting several major events, most notably Christmas Prelude™, which earned Kennebunkport the honor of being named the #2 Christmas Town in America by HGTV. This spirited 10-day holiday celebration is one of the busiest times of year! With caroling, tree lightings, carriage rides and a plethora of concerts and activities, it’s a great time to visit and get caught up in the spirit of the holidays. The Kennebunks are home to several villages and towns, each with its unique character and history. Known for its rural and agricultural past, today Arundel is the home of several local manufacturers. In addition, Route 1 passes through Arundel, and is a great place to stop to go antiquing. Known for its stately mansions and active Main Street, visitors will appreciate the pride residents have in their community. Explore the Museum in the Streets or the Brick Store Museum to learn about Kennebunk’s agricultural and shipbuilding past. Along Summer Street, view the Wedding Cake House, a private residence that is not regularly open to the public. However, visitors can stop and take a picture of what is believed to be the most photographed home in Maine. Park of Kennebunk since its founding in 1640, Lower Village is an eclectic mix of retail, dining and residences. Take a stroll through quaint shops and enjoy a meal al fresco while watching the crowds. Venture down Beach Avenue to Kennebunk’s three beaches: Gooch’s Beach, with its white sands, Middle Beach, with its relaxing vistas, and Mother’s Beach, with its playground and activities for children. Harkening back to the Kennebunks’ agricultural past, West Kennebunk’s landscape is dotted with old barns and farmhouses. Parking and access to the Eastern Trail, popular with hikers and bicyclists, is behind Kennebunk Elementary School. Dock Square and nearby Union Square, the heart of Kennebunkport, boast a mix of unique shops and galleries, showcasing the finest Maine artists and artisans. Dining options abound, with restaurants ranging from the classic Maine clam shack to fine dining of all cuisines. Take a schooner or whale watching tour from one of Kennebunkport’s docks. Stop by White Columns and view the First Families Museum, showcasing both the first families who built Kennebunkport and the First Family that made it famous. Drive or bike along Ocean Avenue, to view the elaborate mansions, including Walker’s Point, the summer home of our 41st President. Step back in time to Kennebunkport’s traditional fishing village, and enjoy a view of Goat Island Light, which has been protecting Cape Porpoise harbor since 1833. Stroll past antique store and galleries as you enjoy this picturesque village.